The 65-year-old musician has confessed he "wasted" a big part of his life in the 80s as he had a drug addiction, and told USA Today he is now careful not to come into contact with drugs at any cost. 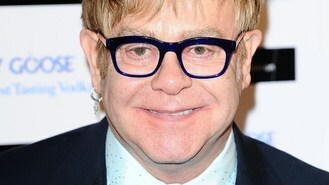 Elton said: "If I ever find myself in a situation where there are drugs, I can smell the cocaine. I can feel it in the back of my throat, that horrible feeling of taking the first hit of cocaine. And I leave." The singer confessed he became so "self absorbed" during the height of his drug addiction that he was oblivious to so many of his friends dying around him during the Aids epidemic. Elton told BBC Radio 4's Today show that his regret about wasting "such a big part of my life" on drugs during the 80s was one of the reasons he had gone on to start his Aids Foundation charity, to help raise funds to find a cure for the disease.